How did you learn about Wayward Leather? Wayward Leather Design is home to truly extraordinary leatherwork. Craftswoman Mellie Z. specializes in unique, handmade pieces, which she creates in her quaint Pennsylvania shop at the southern tip of the Pocono Mountains. She has shown at conventions and fairs across the East Coast, including Dragon Con, New Jersey Renaissance Faire, Maryland Renaissance Festival, and the Steampunk World's Fair. 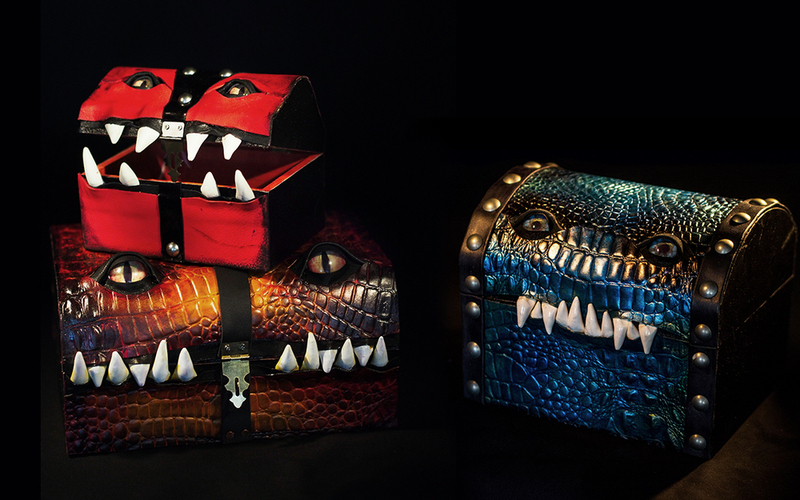 Known best for her hand-pigmented dragon-hide pieces, embroidered accessories, fantastical garments, intricate bags, and whimsical “monster boxes,” Mellie Z. designs and executes all Wayward Leather products by hand. To inquire about custom pieces and commissions, use the contact form above.